The story of a dream… a world crowded with old master portraits, ancient Roman marble heads, gold reliquaries filled with zombies’ hands and hearts, blooming carpets and colorful tapestry, baby dragons, and unknown creatures’ skulls. This dream belongs to Gucci’s visionary creative director, Alessandro Michele. Midway upon the journey of our life, he found himself within a forest dark. 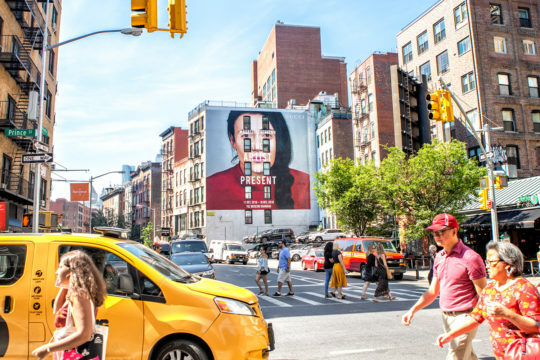 On this path, there is a man, tall and lean in his jeans and a tight T-shirt, salt-and-pepper gray hair, and a long, puzzled face anchored by a propitious Roman nose: Maurizio Cattelan, tireless artist, affected by a serious image hoarding disorder. The perfect partner in crime. 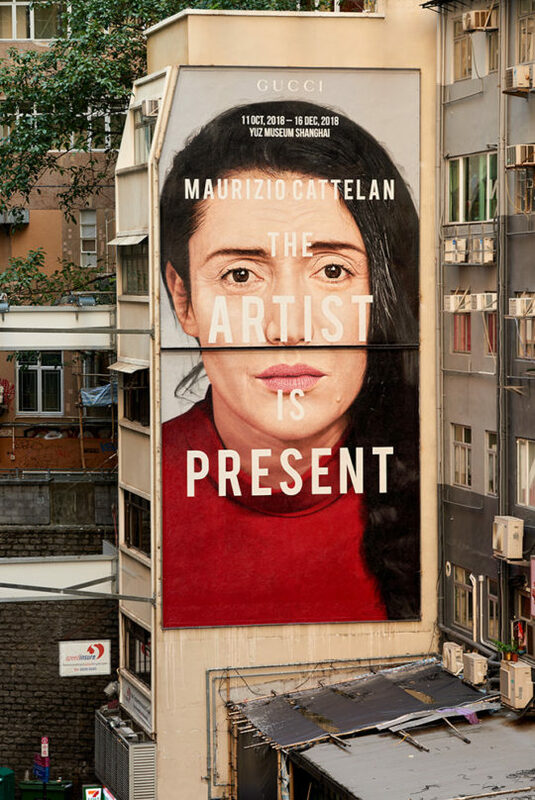 On 10th October at the Yuz Museum in Shanghai the dream is becoming true: an exhibition project curated by Maurizio Cattelan, titled The Artist is Present, after Marina Abramovic’s celebrated solo show at MoMA. 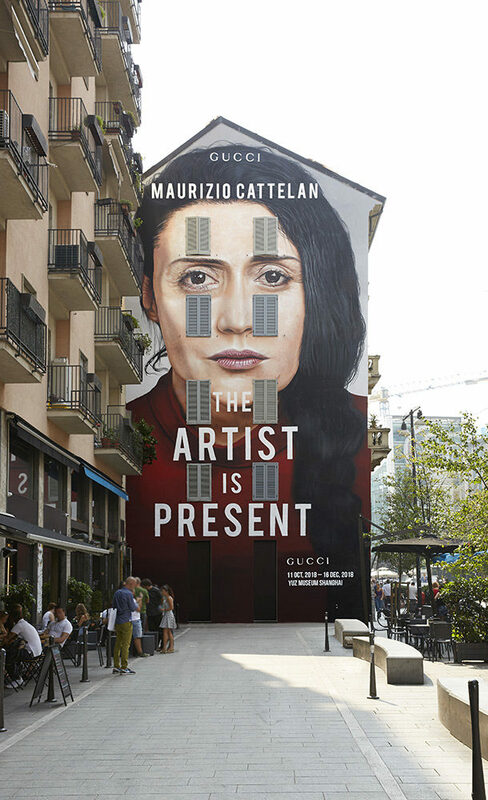 From its very first line, The Artist is Present is an act of appropriation. 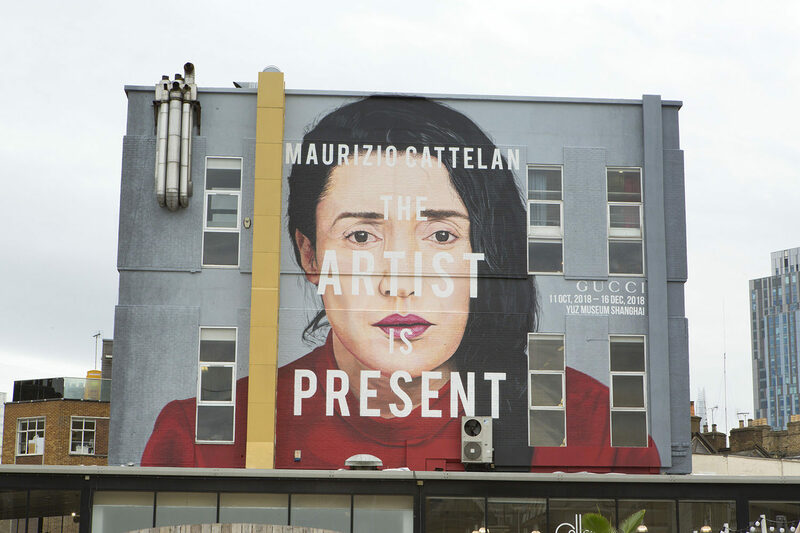 The least you can expect for an exhibition project curated by Maurizio Cattelan and powered by Alessandro Michele’s Gucci. Both are very well aware that complex relationship between image and reality, representation and presentation have been one of the most important topics in art. And they both well know that it is truer today, as we all are at the same time the generous feeder and the avid consumer of a world of simulacra, in between illusion and reality. Rooted in this permanent visual deluge, The Artist is Present focuses on artists projects that propose simulation and copy as a paradigm of global culture. The title itself aims at demonstrating how the act of copying can be considered a noble act of creation, featuring the same artistic value as the original. 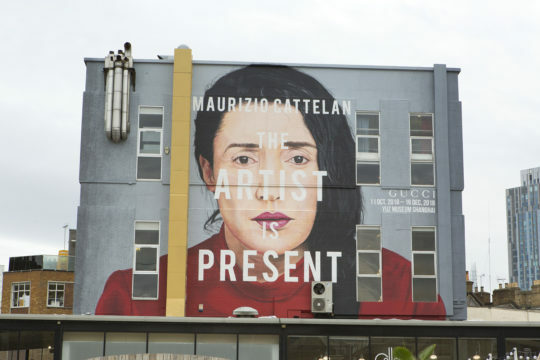 The Artist is Present features a selection of more than thirty artists, foreign and Chinese, that will show bothsite-specific and existing works that question the most hallowed principles of art in the modern era: originality,intention, expression. In an era where everything is reproduced, nothing really keeps the aura of originality, suggesting the urgency to overcome an old concept of counterfeit in favor of a new way to conceive copy as an indispensable tool for facing our contemporary society. Pictures: Art Walls of the exhibit as seen in Hong Kong, London, Milan and New York.